How live chat can benefit librarians! Providing real-time support is an important part of customer service for all companies. The emergence of the live chat feature by library software vendors is making customer support even more effective. It provides their customers with the advantage of access to real-time support without having to wait on the phone, or wait for an email reply to a query. 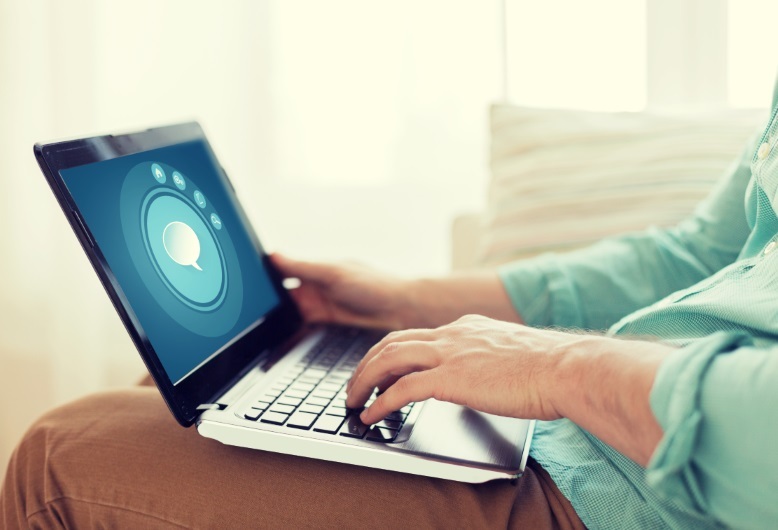 Live chat is becoming increasingly popular among customers and vendors alike, for good reason! Customers don’t have to wait around for an email reply. The need to make a phone call that can leave them waiting on hold is removed. The need for customers to navigate their way through a long series of menus to reach the person they need to speak to is also removed. Live chat is convenient. For staff working on their computer completing various tasks, clicking on a chat option is a quick and convenient way to access help – it’s hands-free. So, if they need to try a solution offered by the chat consultant, they can do so immediately. It also removes the need to move somewhere quiet to avoid disturbing coworkers, or customers, with a noisy phone call. Live chat is also simple to use! Anybody who has used a text-based messenger service like online chat, or sent a text message, will feel right at home. It is a way to talk to a real person in real time, providing the dynamism of a phone call, with the convenience of email. It’s easy to keep track of questions and answers from earlier in the conversation. There is less pressure to understand any complex advice quickly. If the offered solution requires completing a number of steps, those steps are part of the online conversation text. It is there to refer to at any time throughout and after the online chat. Finally, live chat ensures that customer support staff can be a lot more responsive and flexible in the support they offer. Written, complex questions are more easily understood than spoken words. It reduces the need for customer support staff to ask a series of questions to clarify what the problem is. Increased productivity and less interruption to workflow. The ability to resolve problems without leaving their workspace, and without needing to speak on the phone. The application of real-time problem solving for difficult technical and process issues. Quick responses and resolutions to customer support issues with a minimum of fuss. Librarians and their staff can save the live chat conversation text for future reference. If you run into the same problem again, you’ll be able to refer to the saved conversation for a resolution. The added bonus is you can effectively build your own support issue knowledge base! Softlink Information Centre’s inclusion of a live chat feature for customers using our Libertyand illumin products continues our commitment to offering them the best possible support experience. Check out what Diana Zavarce of the Monash University’s English Language Centre has to say about it!